With the United States suffering from a $1 trillion student debt crisis, many prospective college students are wondering, “Is it really worth it?” There is no doubt that in today’s competitive job market; candidates need every advantage they can get, including a college degree. However, for many people, the cost of earning that degree is so high that they question whether they will be able to earn enough money to pay back their debt. There are no easy answers to these questions, but there may be some hope on the horizon and there are definitely things students can do to reduce their debt load while they are in school. 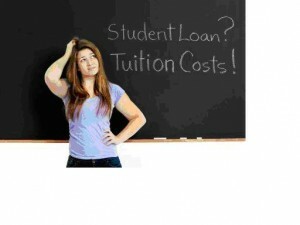 As it stands now, the interest rate on Federal student loans is set to double starting in July 2013. However, the House of Representatives passed bill HR 1911 on May 23, 2013, which would set student loan rates to fair market values. Although President Obama has threatened to veto this particular bill if it passes the Senate, he agrees that something needs to be done to prevent student loan interest rates from rising so dramatically. Both Republicans and Democrats agree that student loan interest rates should not rise, but they have yet to come to a consensus on the details of how to prevent it from happening. According to a recent article in The Huffington Post, “…tuition increases continue to outpace inflation, local governments are cutting back funding for public colleges and universities, families are paying more than ever to send their kids to school, and total student debt has surpassed credit cards and auto loans as the second-biggest source of household debt.” The biggest challenge is that the cost of education continues to increase while the job market remains on shaky ground. The best way to counteract this conundrum is for students to minimize the amount of debt they accrue while they’re in college. Many college students make the mistake of accepting the full amount of loan money that they qualify for and using the extra cash for living expenses. This is a sure fire way to rack up a higher balance with less to show for it. Budget what you need per semester for tuition and supplies with a little bit of cushion. If you borrow more than you need, then instead of spending your financial aid disbursement, send the money back to your loan servicing company. It may be hard to turn down the extra money, but it will help reduce your debt. Even though student loan repayments are deferred, typically until six months after graduation, it is never too early to start paying on your student loans. Admittedly, college students typically have a difficult time covering their cost of living as it is while they are in school, but even making micro-payments on your loans while you’re attending school will help reduce the amount you have to pay back. Skip ordering a pizza and pay $20 off on your loans. Every little bit you can send in adds up over time. In all fairness, good money management is a skill that takes quite a while to learn. However, that doesn’t mean that college students can’t benefit from some lessons in frugality. If you have a meal plan, then take advantage of it and restrict yourself to school dining options. Students who don’t live on campus should cook at home as possible and resist the urge to order take-out food or stop by a local fast-food place. Don’t rush out to buy things like clothes or technology unless you can pay for them in cash. According to debtconsolidation.com, the average credit card purchase costs 112% more than cash. Don’t use credit to buy things you can’t really afford. Many college students want to prove their independence by asking their parents for as little help as possible. This is a mistake that will come back to haunt you. Don’t just ask your parents for money when you’re broke; take advantage of their wisdom and get some advice about how to manage your money better. Remember that they likely struggled financially at some point in their lives as well, so reap the benefits of their experience. It may mean swallowing your pride a bit, but sometimes the best thing to do is just ask for some sound advice. There always seems to be someone on campus who is the “go-to” person when people are looking for someone to pick up the tab. Don’t be that person. While it may be nice to treat your friends to a night out, those combined bar tabs, add up quickly. The same goes for ordering food as well. Being generous is a kind thing to do, but don’t spend money you don’t have in an attempt to impress your friends. Real friends will like you no matter what your bank balance is and they will understand if you’re struggling to make ends meet yourself. Having a degree from a well-respected university is a valuable asset; however, the first two years of most programs are general liberal arts education. You may be able to complete an associate’s degree, or get through most of your general studies courses, at a less expensive local school and then transfer when you’re ready to start your major. While this does take some research and planning, it can dramatically reduce your tuition costs for a couple of years and you will still end up with the same degree. Getting through college isn’t easy under the best of circumstances, and it is even more difficult with the massive specter of student loan debt hanging over your head. The best advice is the old adage, “Never put off till tomorrow what you can do today.” Don’t wait until you’ve accumulated thousands of dollars in student loan debt and hope you’ll land a good enough job to pay it off quickly. Plan in advance and reduce your education and living expenses as much as possible before you graduate. About the Author: Tony Standin is a personal finance specialist with a passion for helping young adults get past college and into the working world with the least amount of debt possible. Tax benefits for paying for college? Interesting post Tony. I definitely agree about over borrowing which simply leads to spending it without necessarily having needed to. I got my sons to be frugal and send back what wasn’t needed as you mention. Next post: What Is a Structured Settlement Annuity and How Does It Work?